Science tells us that sharks are in a perpetual state of motion, always swimming forward. To be a shark means being permanently on the hunt. We have defied science! Meet chompydon lacksidasius, the Great White Shark who prefers relaxing to attacking! Instead of prowling the seas for seals and surfers, this guy will lounge around the buffet! Where he will wait for the perfect moment to plant himself upside-down beneath the chocolate fountain! 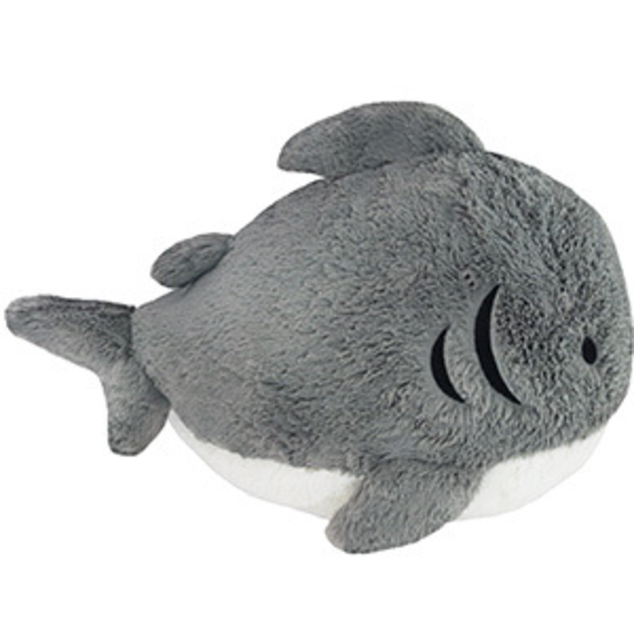 Trade your fishy prey for a lazy day! 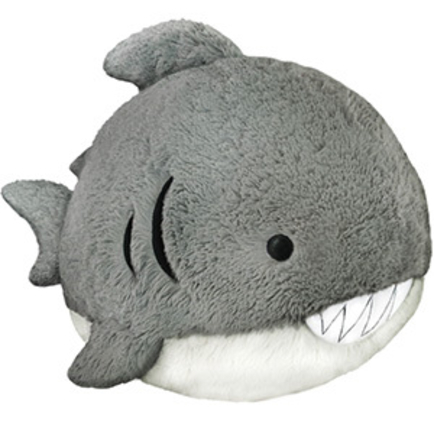 Hug a Shark! 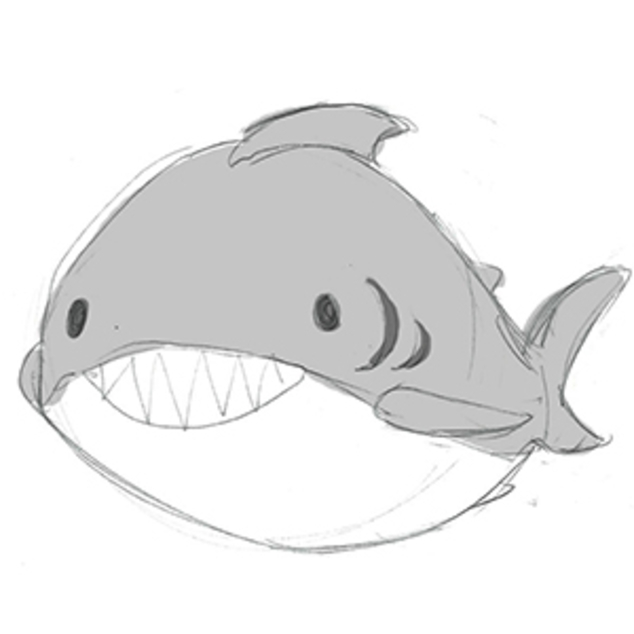 Well, hug thisShark! 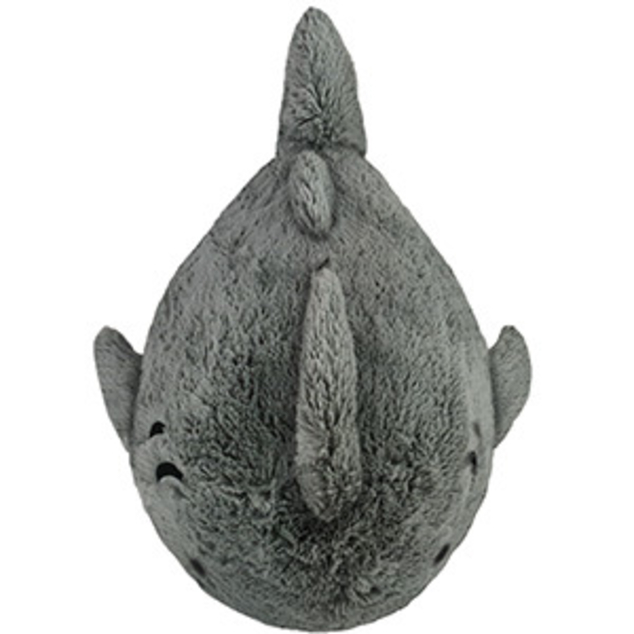 15 squishy inches of peaceful predator, polyester fiber, ages 3 and up!